we provide best services in Cloud server houston. we provide best services in hosting houston. we provide best services in cloud hosting houston. 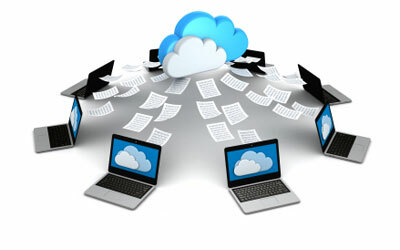 we provide best services in cloud computing houston. we provide best services in Cloud server hosting houston. Do you have a Disaster Recovery plan in place for your organization? Are you currently hosting all your critical business data onsite, and feel that you would like a little more peace of mind and security when it comes to your critical business data? Would you like to drop the burden of having to maintain critical Business Management Applications onsite, and would you be open to seeing how Hosting, BackUP & Cloud Computing can work for you? Jaxon-Raye Hosting, Powered By CoSentry*, is your point of contact for your Hosting & Cloud Computing needs. NO MORE SERVERS! Your company can finally stop buying Servers, quit spending time on maintaining those servers, and start to focus your energy on your business. Servers can cost thousands to deploy, and tens-of-thousands more to maintain. Jaxon-Raye Hosting will provide you with the right infrastructure to always keep your Critical Business Management Applications online and available. We provide 24x7 Support & Monitoring for your Critical Business Management Applications. We also develop custom tailored SharePoint Hosting, completely integrated into your core Business Mangement Product, giving you a single point to manage all critical business documents, calendars, reporting, schedules, surveys, dashboards, and other critical business information. Our services are designed to get your Critical Business Management Applications, & Databases, off-site, and always online for your organization. Database BackUp/Storage! Does your company currently BackUp all your business critical databases & documents offsite? Are you still relying on an IT Manager to copy files from drive to drive, or store your files on a tape? How often do you check the ability to restore your critical business data? Get the burden off of your team with Jaxon-Raye Database BackUp & Storage Solutions. We will customize a BackUp service for your organization that will allow for automatic BackUp & Storage to an offsite, secure, always-online data center. This is the absolute best and safest way to protect your company's information. The Jaxon-Raye Database BackUp Solutions start at $30/Month, and are customized to your company's needs. Remote Access From Anywhere! By utilizing Jaxon-Raye Hosting, you can make sure your Critical Business Management Applications, and databases, are always online and available to your employees. No longer do you have to stay glued to your desktop. Access your data from any Internet Connection, any Mobile Device, across secured networks, or customize an entry into your Hosted Cloud. Whether you need a technician to just get access to their Critical Applications, or you're a CEO that needs access to your Financial Dashboard on our Hosted SharePoint, we can customize a whole range of remote access points for your oraganization. Our Facilities are World Class! : Jaxon-Raye Hosting, BackUP & Cloud Computing, Powered by CoSentry*, offers our clients the ultimate in Cloud Computing, Hosting Critical Applications, and with building REAL Disaster Recovery Plans. Jaxon-Raye, Powered By CoSentry*, maintains the highest standards in Business Reliancy Solutions. Our data centers are SAS 70 Type II Certified, PCI DSS v1.2 Physical Security & other Major Financial Standards Compliant, Enabling GLBA, Sarbanes Oxley & HIPAA. Your Business never has to stop, as we offer 100% UpTime for all your Hosted Business Applications, as well as 24x7 Support, Network Monitoring, along with the highest standards for Backup & Redundancy Services. Whether you're looking to see what Cloud Computing has to offer, building a TRUE Disaster Recovery Plan, or want to get your critical Business Applications Hosted or Backed Up Offsite, Jaxon-Raye Hosting, Powered By CoSentry, can customize a solution to fit your needs. Jaxon-Raye, one of the best it software development companies in Houston,providing cloud server in Houston. Jaxon-Raye, one of the best it software development companies in Houston,providing hosting,cloud server in Houston. Jaxon-Raye, one of the best it software development companies in Houston,providing hosting in Houston.